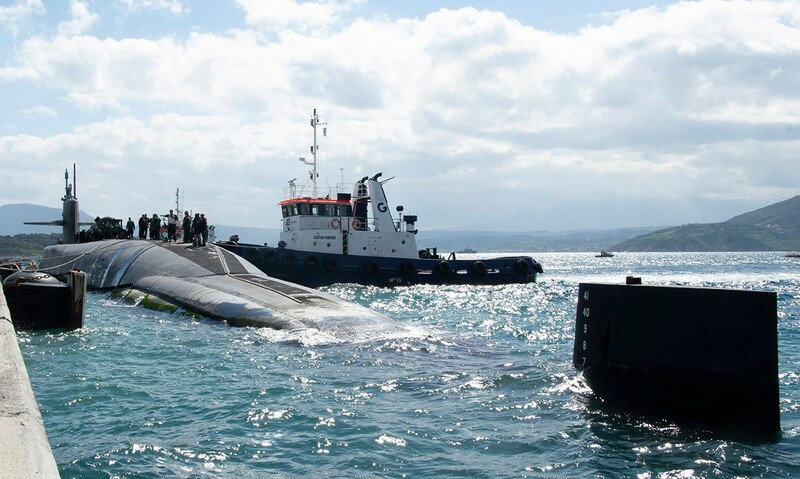 Tugboats of Gelasakis group, assisted successfully during the Ohio-class cruise missile submarine USS Florida (SSGN 728) port visit. During its arrival (March 14, 2019) and stay in Naval Support Activity Souda Bay, Greece we managed to provide every requested service based on safety and counting on our strong presence for navy vessels. Through the years of our experience we have obtained the know-how as well as the expertise and specialized equipment needed for such unique submarine operations.